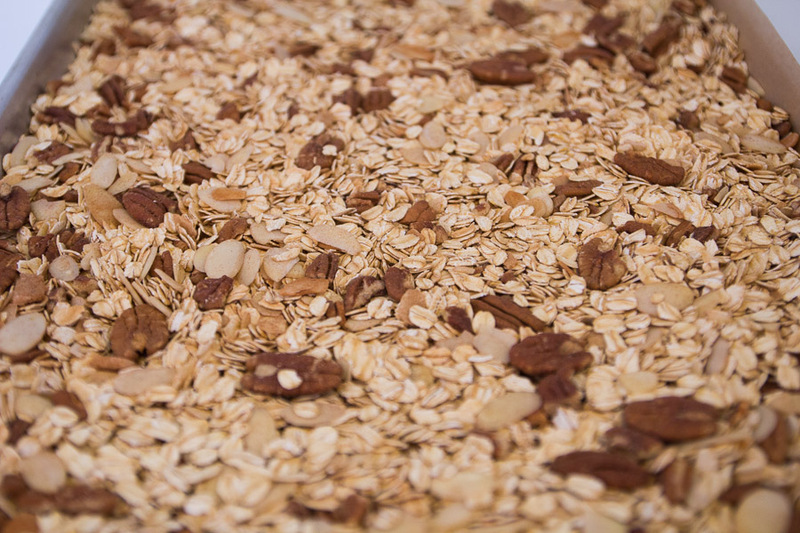 It’s been almost three years since we shared our Scrap-Busting Granola Bars, can you believe it? 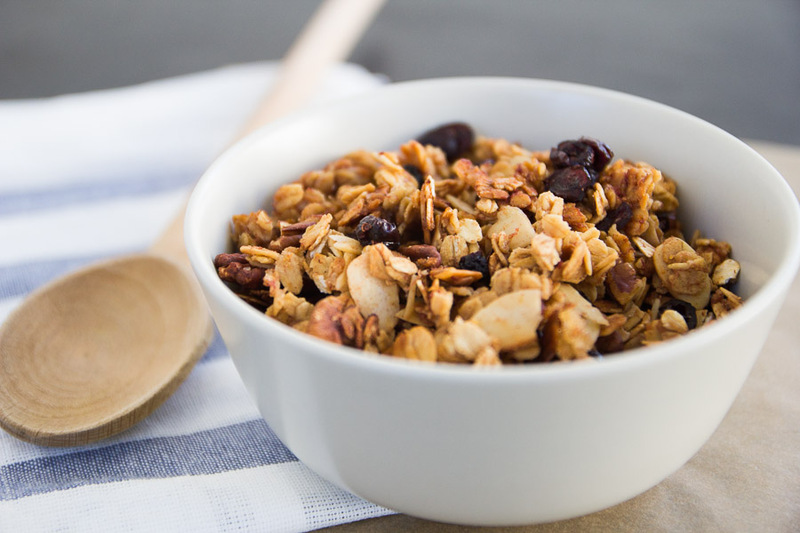 When I realized this I headed right back into the kitchen to whip up one of my favorite granola recipes to share with you. I’m especially fond of this one because it is jam packed with flavor. You can’t go wrong with bananas, blueberries, cranberries, and pecans. 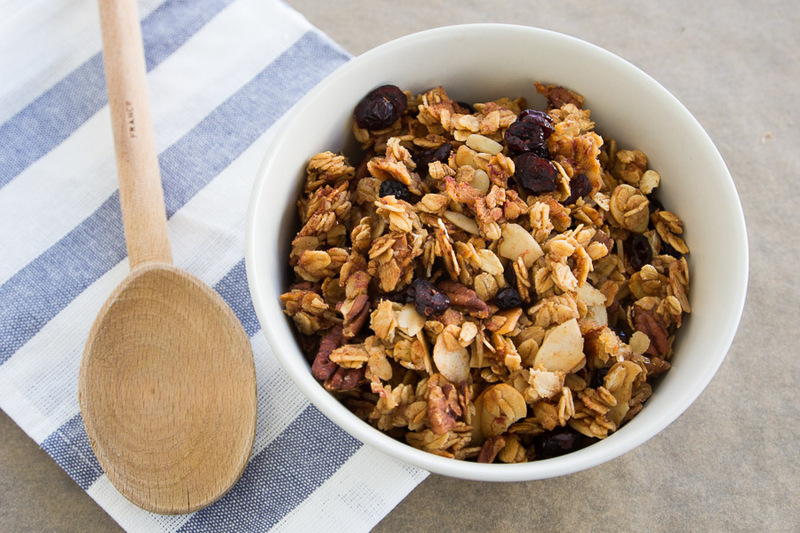 This Berry Banana Nut Granola recipe takes less than thirty minutes to make, and can be stored for a few weeks. Just like with our Scrap-Busting Granola Bars, you can throw in all sorts of other goodies to this recipe too. Mix your dry ingredients together in a bowl. Pour coconut oil, vanilla, and agave in a saucepan over medium heat. Once combined, mix in the banana. Start by mashing it and then use a whisk to mix it all together. You can pour the liquid mixture into the bowl with the dry ingredients and mix, or you can do what I did and spread the dry mixture onto a baking sheet lined with parchment paper, and then pour the liquid mixture on top. Use a spatula to mix it all together so everything is coated. 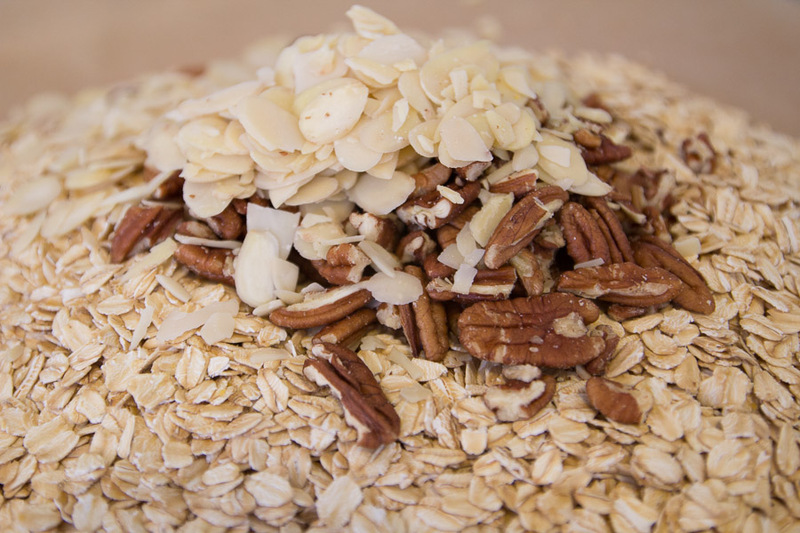 Spread the granola out evenly on the baking sheet and place it in the oven. Cook for about 25 minutes, or until it starts to look lightly browned. Remove and lightly toss. Once cooled, mix in the cranberries and blueberries. Note: When you remove the granola from the oven it might look a bit wet still. Don’t worry, it will harden as it cools. You can store in an airtight container for a couple of weeks.